Bluetooth transmitters and receivers are a great way to add Bluetooth to non-Bluetooth devices. 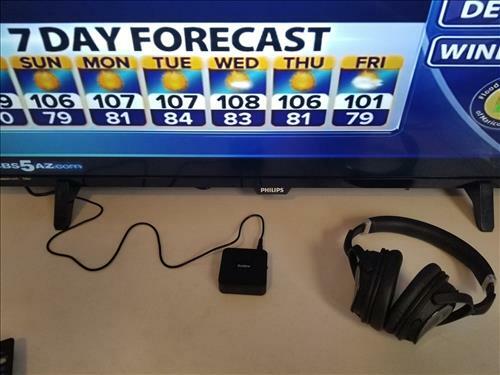 This includes TVs, car radios, old sound systems, and many other devices. 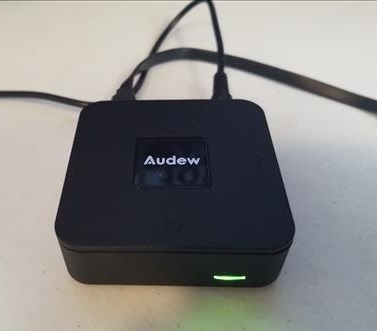 The Audew is one such Bluetooth unit that can transmit or receive Bluetooth signals to a non-Bluetooth device. The package comes with the unit, 3.5mm Audio Cable, Optical Digital Cable, USB Charging Cable, 3.5mm Female to 2 RCA Male Cable, and User Manual. 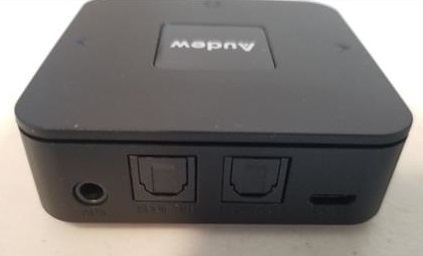 The back has ports for 3.5mm AUX jack, Audio Output for TX, Audio Output for RX, and Micro USB charging port. Paring is easy by pressing the top button labeled Audew until the LED flashes Green and Red. 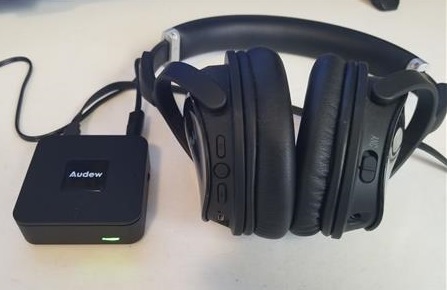 I Paired Mpow H5 Bluetooth headset to the unit by pressing the Pair button on the headset. I plugged the 3.5mm audio line into a TV and was able to hear the sound over the headphones. The unit worked very well with no lag making it easy to hear the TV sound. It can also be setup with car stereos that do not have Bluetooth and Pair it to a smartphone. 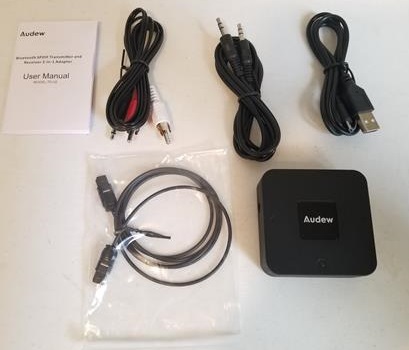 The Audew Bluetooth transmitter receiver is a good unit that makes it easy for older devices to go wireless. Besides TVs and car stereos it can be used with speakers, old record players, or any device that uses the outputs.